We have two delicious desserts we wanted to share with you this week. These round baked beauties are very similar and very light and very fresh for the turn of the season! 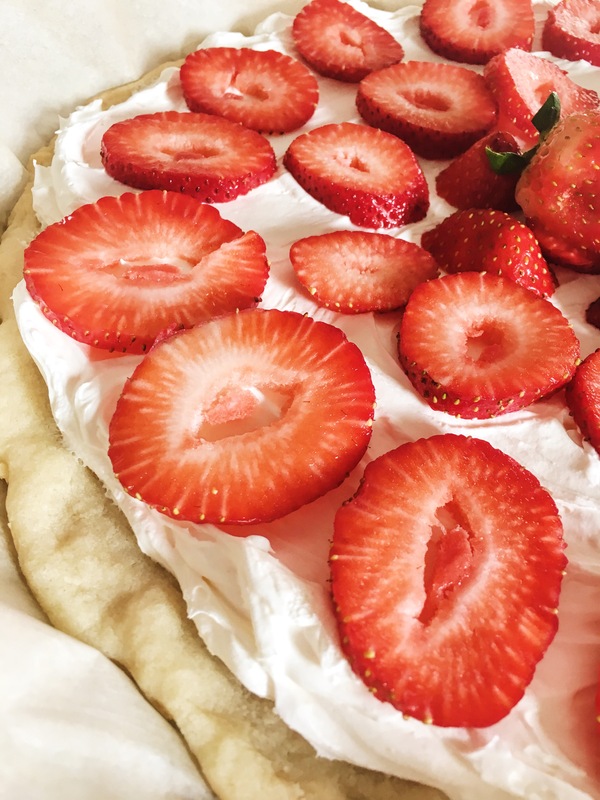 Welcome spring with a lemon cream cheese sugar cookie and a strawberry fruit pizza! These two mamas are so ready for warmer temps and a seat on the patio. Then again, who isn’t?! 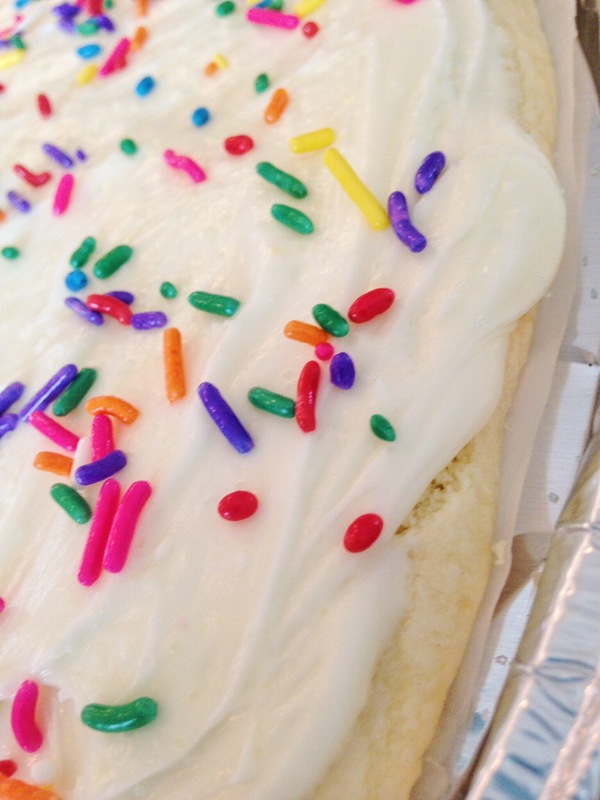 First up, the lemon sugar cookie! The lemon sugar cookie was made for Miss Charlie. Shelly decided to give her little lady some extra special treatment because she is a big sister to baby brother Harvey now! He came two weeks early and has been an adventure ever since! 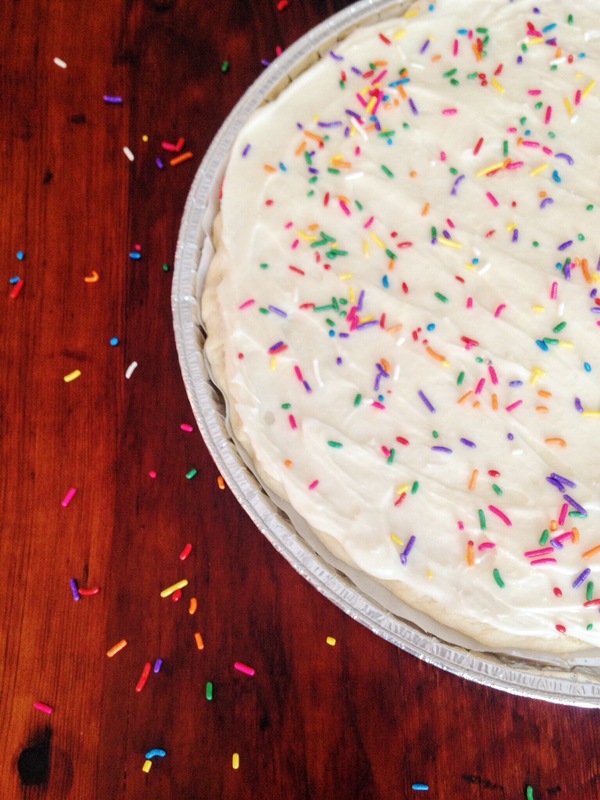 We all know being a big sister isn’t always easy, so this was made extra special by adding Charlie’s favorite sprinkles! 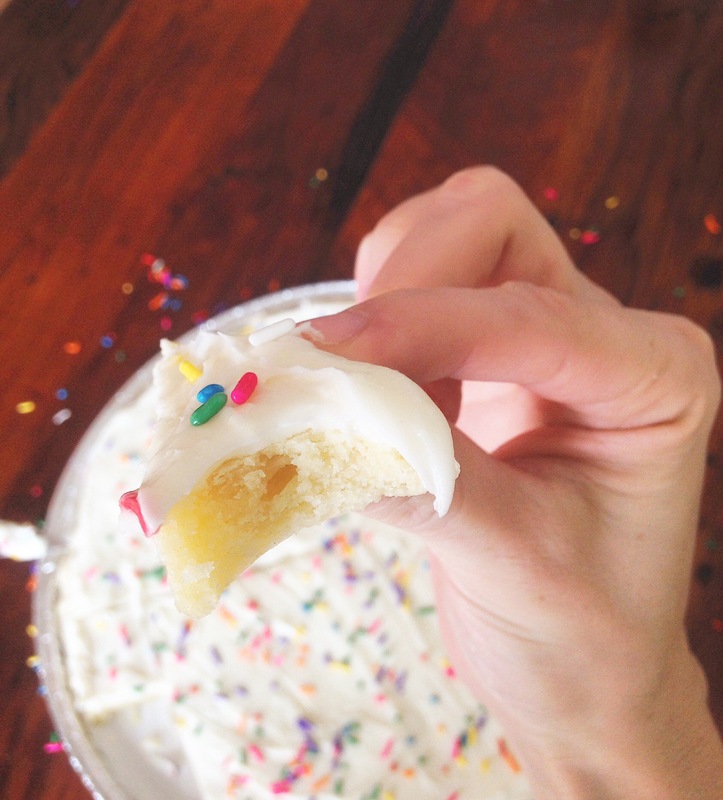 Plus, seeing the lemon zest in the cream cheese frosting is like eating little bits of sunshine, and it makes us feel fancy. However, in typical toddler fashion, Chuck hated the cookie. The kid has ate lemon wedges since she was a newborn. I’ll never understand. In typical newborn mom fashion, I ate the whole thing in 36 hours. Both of these cookie recipes are delicious with the cream cheese and lemon flavors! Keep reading for the how to’s! 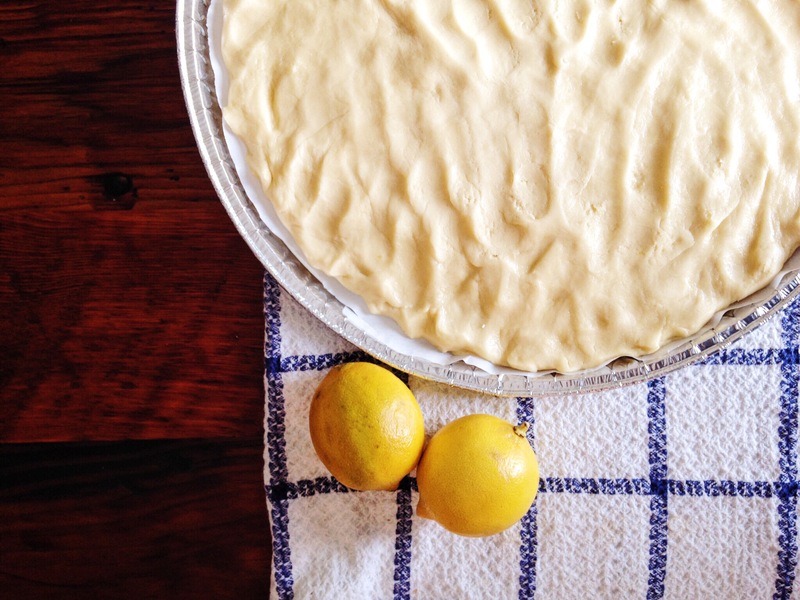 The lemon sugar cookie was borrowed from Two Peas and Their Pod! Instead of using a 9×13 pan, we made it into a giant cookie. That was the only change we made! Click here for the recipe, and you best check out the rest of their recipes! 1)Preheat your oven at 350 degrees. Cream room temperature butter and sugar together with hand held mixer. 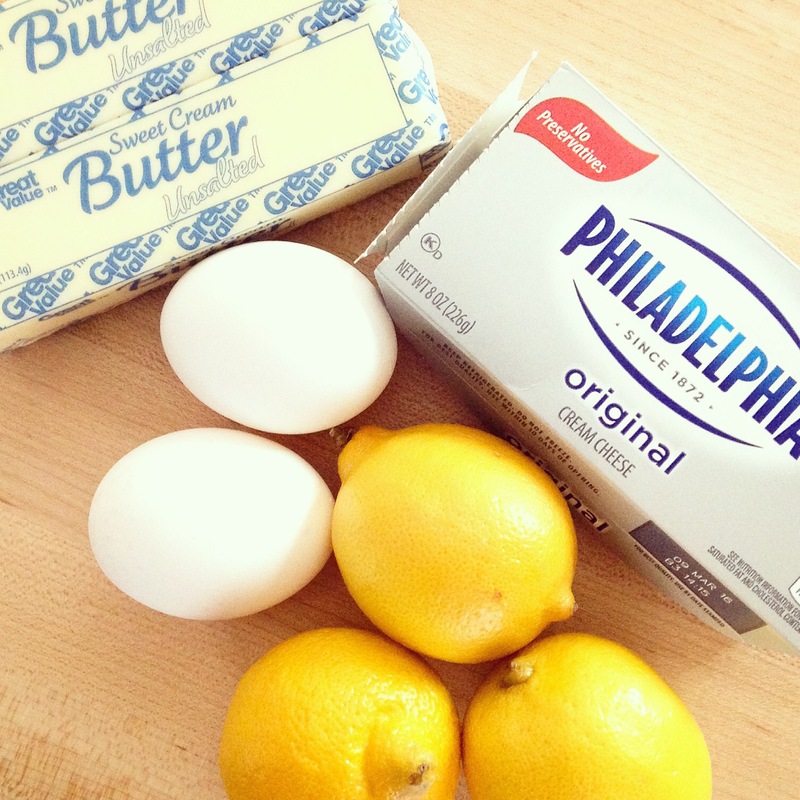 2) Add in room temperature egg, butter flavoring, vanilla extract and lemon juice. Mix until ingredients combined. 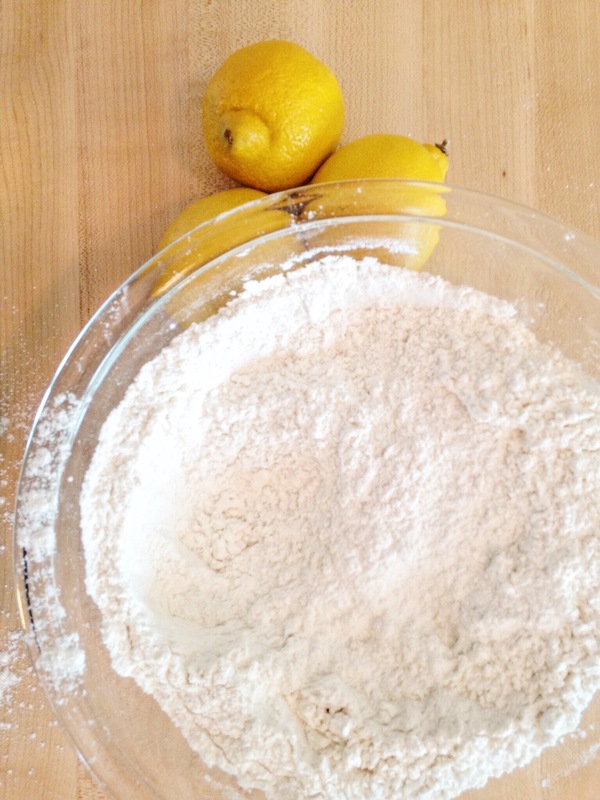 3) In a separate small mixing bowl add flour, baking powder and baking soda. Stir until combined. 4) Add flour mixture in three parts to butter/ sugar mixture. 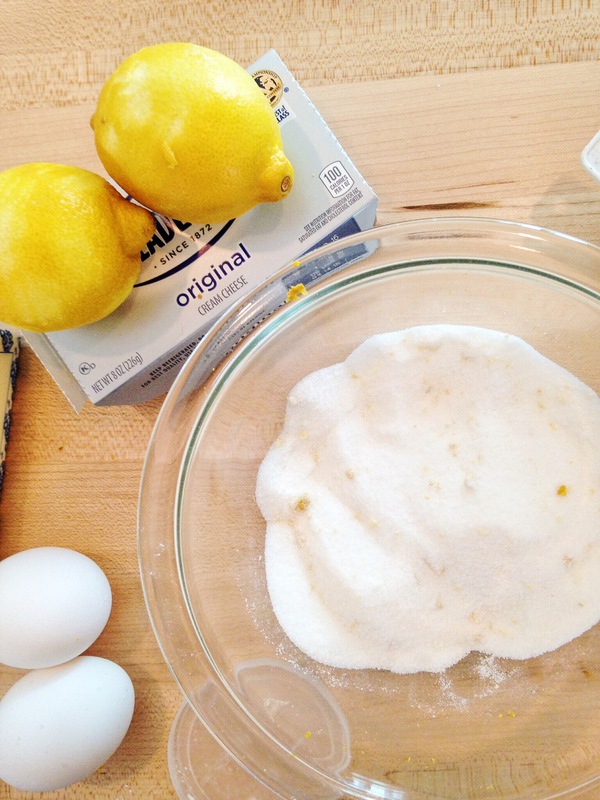 In between mixing in these three parts use your hand held mixer to make sure all ingredients are mixed thoroughly. The dough will become thicker in texture. 5)Take a pizza pan like this and place parchment paper on top of the pizza pan. 6) Scoop dough onto pizza pan. 7) Flour your hands and sprinkle a little more flour on top of the crust and press dough evenly onto pizza pan. We cut down the extra parchment paper on the sides down at this point. 8) Place cookie in oven at 350 degrees for 14-15 minutes. When you take the cookie out of the oven let it completely cool before putting the whipped topping on the cookie crust. The dough will look under done but will settle as it cools! 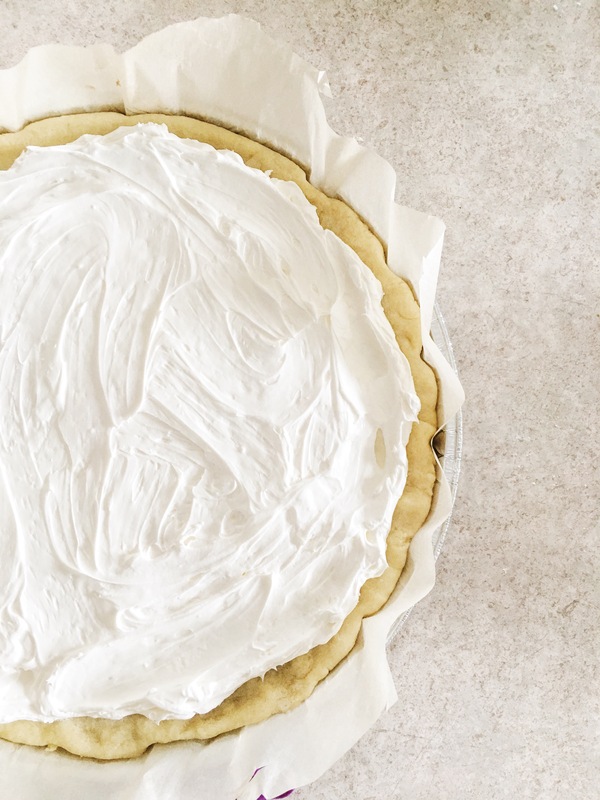 This makes for a super soft buttery cookie crust! To speed of the process you can place in the refrigerator. 1) Mix all ingredients together in a bowl until smooth. We used the beaters on the mixer. Do note, if your cream cheese isn’t room temp, you’ll most likely end up with clumps in your filling. Nobody likes clumps. 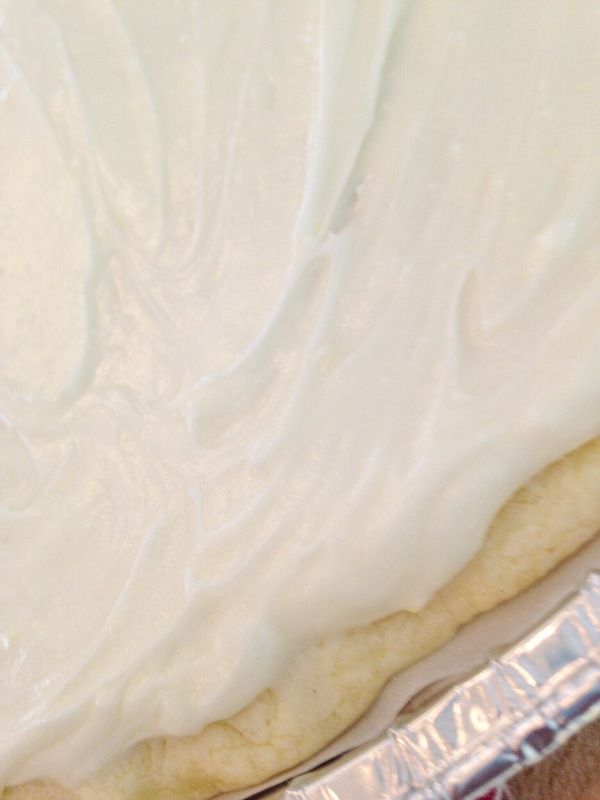 2)Scoop the cream cheese whipped topping on the cooled/ refrigerated cookie crust. 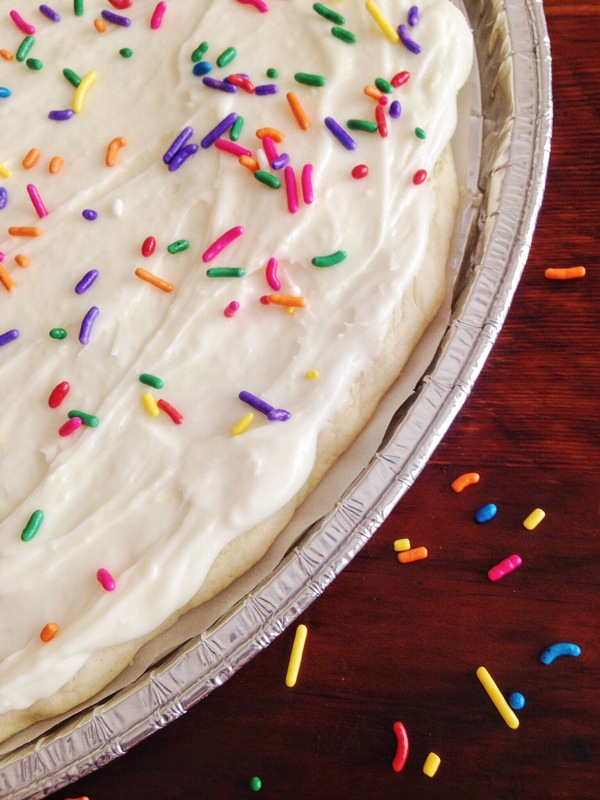 Spread topping until you have a smooth layer on the cookie crust! 3) Top with your favorite fresh fruit! We love strawberries! 4) Store the fruit pizza in refrigerator covered if not eating right away. Enjoy! We don’t really feed our newborns lemon wedges, just unhealthy amounts of sugar.